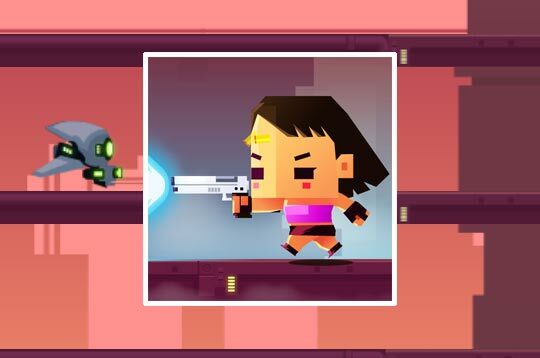 Jump across platforms killing evil machines and cyborgs. Collect coins from dead enemies to unlock unique characters. - Play Cyborg Slayer Free and Enjoy!